My husband and I joke that his life is like a cannon ball. It seems that God often uses me to aim the cannon and he explodes forth in that direction. A few years ago as my last child was leaving the nest, I wondered what direction to take in my life. Where did I want to invest my time and energy for the next 20 years? I took some time for reflection about who I am, how God designed me, my personality, my passions and my strengths. The Strengthfinder 2.0 assessment by Gallop was a directional tool that aimed the cannon and shot me in a new God-inspired direction for my life. 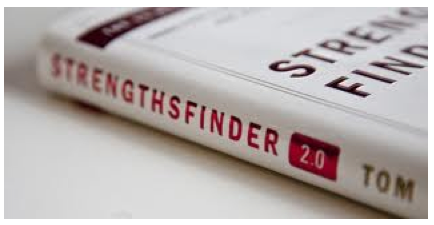 The Strengthsfinder surfaces a person’s top five strengths. Two of my five strengths are Relator and Maximizer. While a Maximizer usually enjoys helping to make tasks better, combined with my Relator strength, I enjoy helping to make people better. In other words, I love coming along-side people to help them reach their greatest potential. The Strengthsfinder was the final impetus for me to pursue Life Coaching. What are your top five strengths? Would you like to know? Maybe you are in a life transition as I was beginning my empty nest years. Maybe you would like to discover how to live more intentionally out of your strengths in whatever role God has you in right now. I would love to help you discover your strengths, process their impact on your life and take action to develop your strengths even more. Who knows… discovering your strengths might be the directional tool that aims you in a new God-inspired direction for your life. Contact Me so we can get started discovering your strengths.